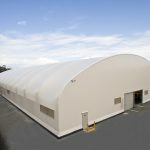 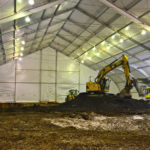 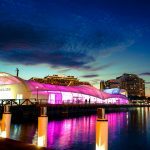 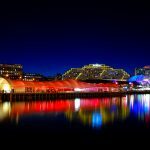 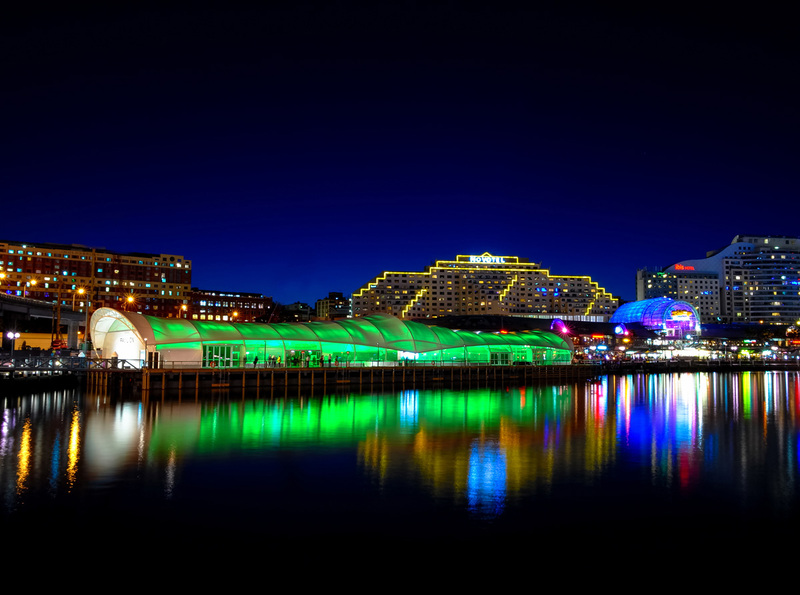 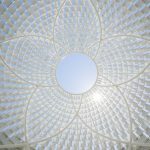 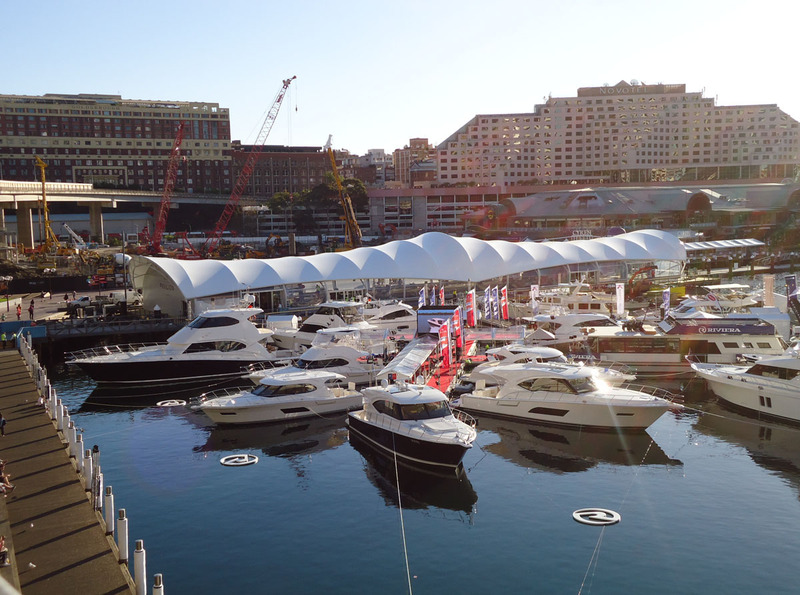 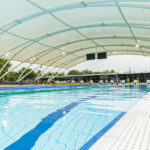 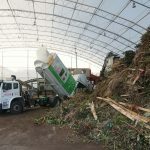 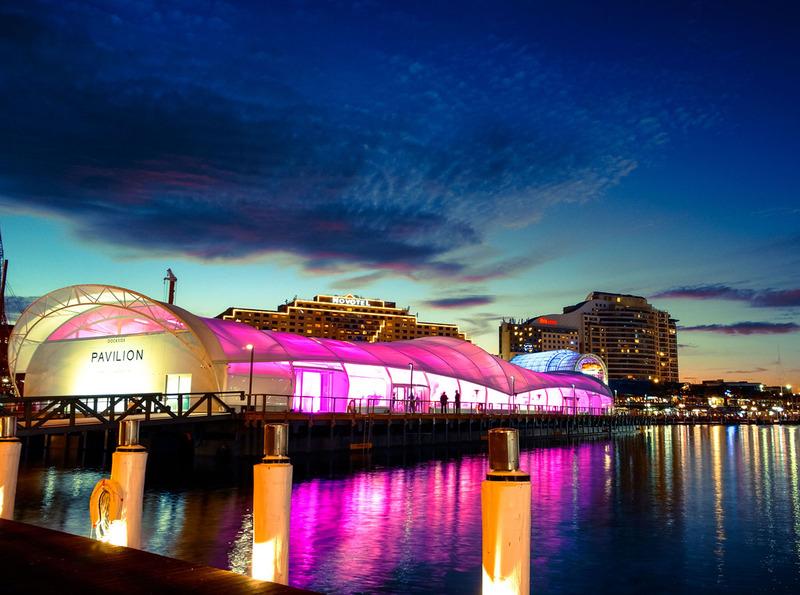 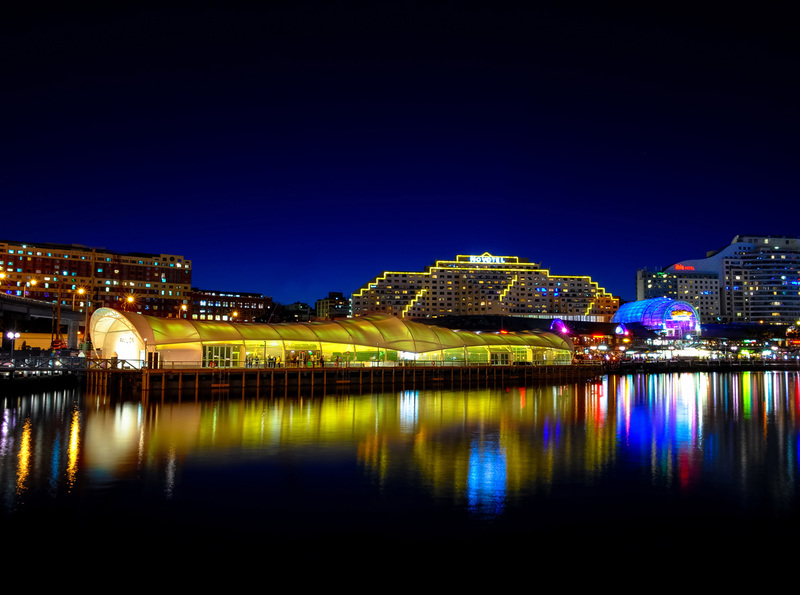 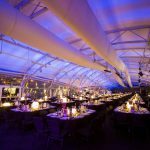 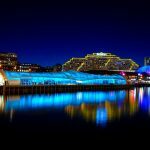 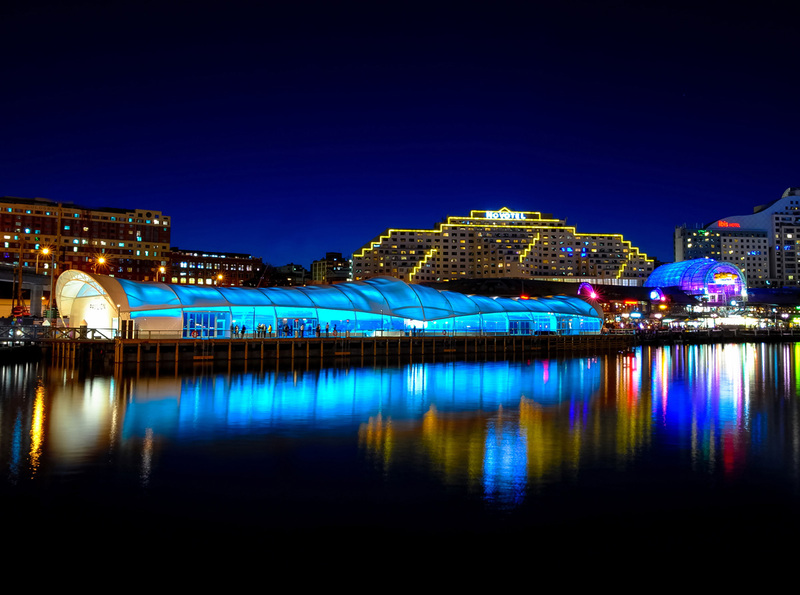 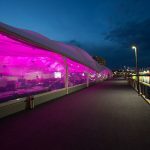 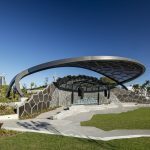 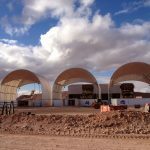 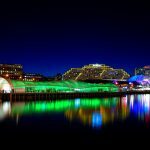 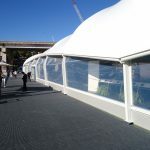 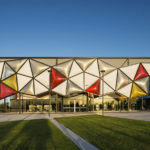 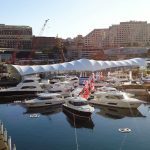 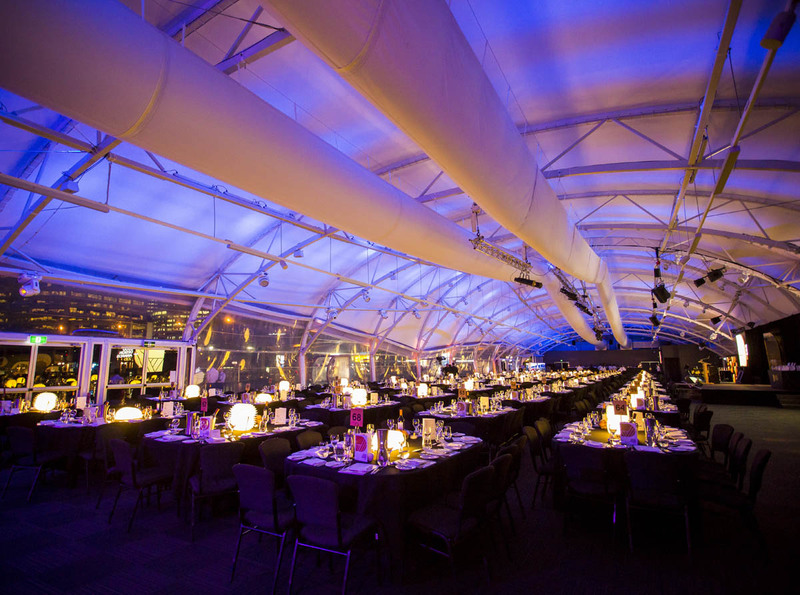 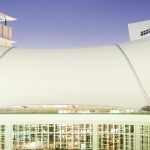 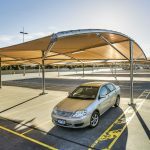 This unique ETFE venue was installed by Fabritecture to accommodate business, events, and the local community during the construction of the Sydney Convention & Exhibition Centre. 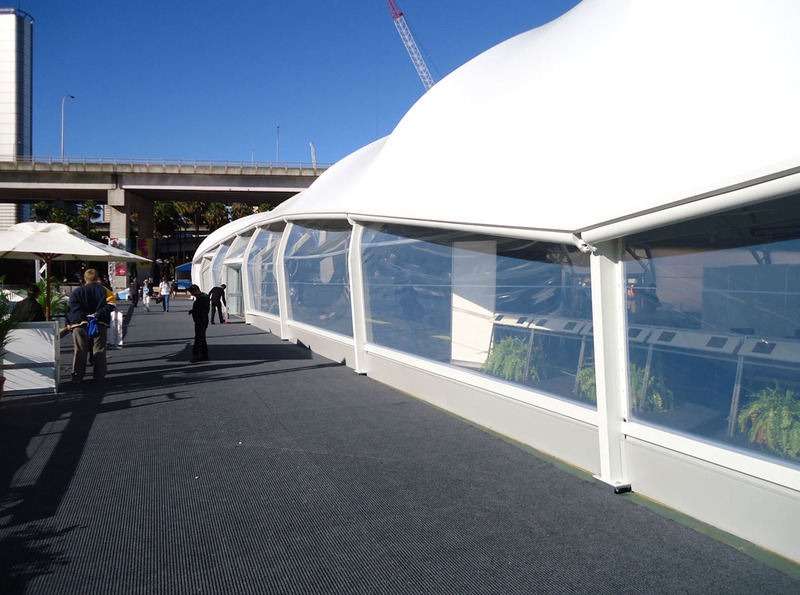 The engineering of the fabric was influenced by the floating/moving platform on which it was built. 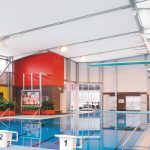 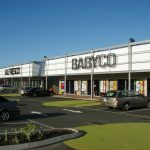 The premium fabrics have life expectancies of 20-25 years, are low maintenance with self-cleaning properties, and are 100% recyclable. 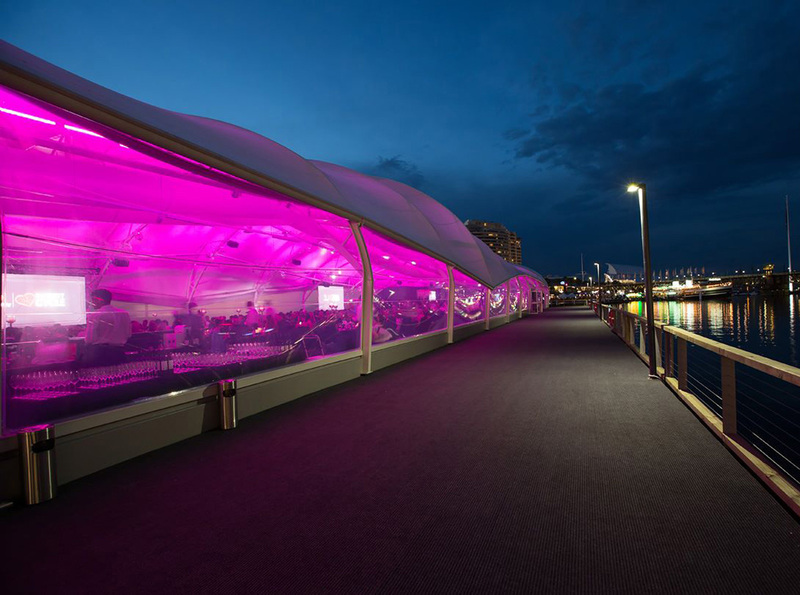 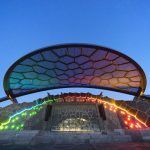 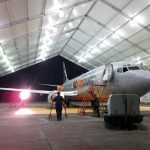 The LED lighting system creates a unique experience, and a creative way to brand an event.